What ranks as the most significant parental influence in raising children? Strangely, not even mentioned, or so negligible, it falls under “other,” is the BIBLE. Statistics clearly show the most overlooked source of information and instruction for Christian parents is the Holy Bible. Yet, parents persist in looking to peers, blogs, videos and human wisdom to help with the single most important, and only task given by God, to parent children. How can the Bible help create a theology of parenting? 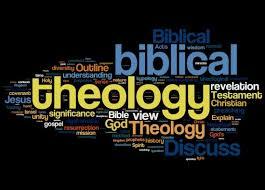 Theology defined is the study of the nature of God and religious beliefs surrounding God. Or in an action/verb state, religious beliefs and theory systematically developed and practiced. A theology of parenting is how God parents his children. That’s our example, that’s our theology. How did God parent his children both spiritually and domestically? The Bible is filled with role models, (good and bad parents), instructions (on how to teach your children about God and life) as well as good advice on how to be a better person. All of which, helps individuals become better parents and grandparents. Interestingly, not much is said in Scripture about Jesus and his childhood or parenting. How did he grow up? What did he learn? What about school? 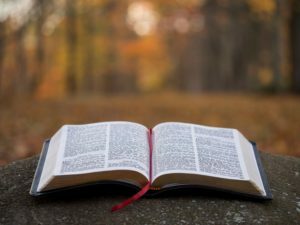 It might be easy to say, “Well, he was God’s Son so he just knew everything about Scripture.” Denying that he was human while heavenly Deity, is discounting the experience of being a child, young adult and man for three decades of his earthly life. Earthly knowledge and training were an important part of the Jewish family. Much can be learned from Jewish families, their customs, their teachings and their approach to a theology of parenting. Each home was responsible to teach the laws, decrees and customs of God to their families from Exodus and Deuteronomy. In addition to home training all teaching would have been reinforced in the synagogue (or church). Thousands of ancient manuscripts detail out the Insula (home life or 1stCentury family way of living). From day one of Jesus’s life like all Jewish children they were trained in the theology and practices of God. Jesus’s earthly father, Joseph would have fulfilled his earthly duty by teaching Scripture in the home and modeling righteous living. The reading and discussing of Scriptures in the synagogue would have been reinforcement of the theology and doctrine of God which happened on a daily basis in the community and family. Jesus enjoyed a healthy spiritual family because it was modeled, taught and practiced every day. For example, when Jesus said—”don’t be like pagans who pray in the streets, go into your inner room (the room designated in the home for pray and reading and listening to the Scriptures). A theology of God wasn’t something he overheard or read. 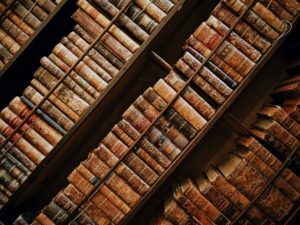 Theology was something he practiced every day of his life. How do parents train their children spiritually? What is God’s plan for a theology of parenting? The story of Jesus in the temple ends in Luke 2:57 with: “Jesus grew in wisdom and in stature and in favor with God and all the people.” (NLT)When you stop and think about how Jesus grew, God gives a clear blueprint, with no secret doors or passageways, just a plain and simple look at a theology of parenting. 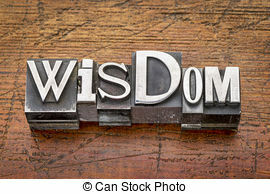 First, Jesus increased in wisdom. Without question he was literate. He could read and write, insinuating he was already intelligent and wise for his years. Jesus no doubt attended school in his hometown of Nazareth, where granted, they didn’t have the internet or the Encyclopedia Britannica but he was afforded very advantage to grow mentally. Education was a normal part of 1stCentury life for males but it is also reasonable to believe he received spiritual teaching. His parents were spiritual, having had an Angel visit, moving to Egypt and to Nazareth. They were spiritual parents who taught theology to their family but who also sought and experienced divine guidance. Second, Jesus increased in stature. On the surface, this might sound puzzling. Why does Scripture include how Jesus might have physically looked? How tall was he? How much did he weigh? Was he strong and muscular? 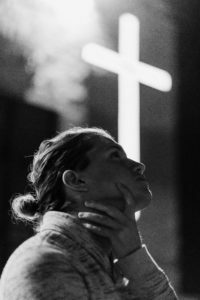 Obviously, it’s important we take care of our bodies as God places a high premium on the importance of what we do with our bodies.“Present your bodies a living sacrifice, which is your reasonable service.”Jesus was not engrossed or obsessed with his physical self but NEITHER was he careless or negligent toward His body. God wants us to take care of our bodies and those of our children in order to be of maximum usefulness to Him. Third, Jesus increased in favor with God. Possibly you are more perplexed over this aspect of Jesus’s growth than the one relating to his stature? How can Jesus improve himself spiritually? 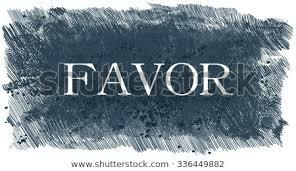 Increase in favor with God? Was he deficient in some manner? The dilemma stems from our limited lack of understanding on the subject of deity versus humanity. Jesus was fully human and thus, had to learn in the same manner as other children. As Jesus grew older, his capacity for maturity in all areas of life would continue to enlarge. He was neither deficient or faulty. At every stage, His spiritual development was right where God intended. The questions begs—what were the abilities Jesus used to spiritually grow in favor with God? The formula is clear: Scriptures, prayer, worship, obeying the ordinances, meditation, fellowship and community. Christ did not have an advantage over other children. The formula is the same for every parent and child. Jesus was consistent in His observances and formation despite obstacles He might have faced. He grew in favor, meaning every child can grow and mature despite obstacles they may face. Parents assist and encourage these types of growth if they follow the formula set down by God. Finally, Jesus increased in favor with man. The reference highlights the social consciousness and development of Jesus. Was he well—liked? Even though they demanded his death in the last moments, it’s clear he was loved and revered. He was invited to weddings, huge crowds followed and listened to him, and little children adored Him. Jesus increased in favor with mankind and by the time he entered ministry he was matured for the ultimate fulfillment of His earthly life. It takes time to build character, grow in wisdom, increase in stature and increase in favor with God and man. 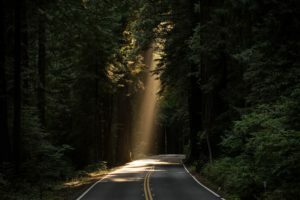 Having entered the public world as a Rabbi (teacher) when he was thirty years old meant he spent many years learning and working along-side his father and elders. What ranks as the most significant influence upon you as a parent? Increase your desire to reflect and teach God’s word. Build character and teach your children wisdom from God so they increase in stature, and gain favor with God and mankind. Develop a theology of parenting and allow it to flourish on a daily basis.